1. 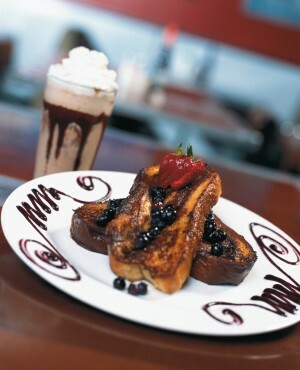 Start your day off right with breakfast or brunch in Mission Bay. Put The Mission’s reputation of “best beach breakfast” to the test, or check out The Boardwalk Mission Bay (formerly The Boardwalk Bistro) where breakfast is served all day. 2. 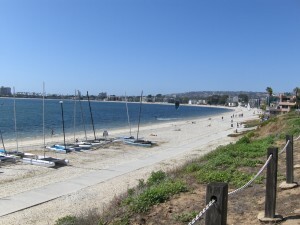 There are close to 14 miles of boardwalk along Mission Bay, giving you and your family ample room to play. Whether walking, jogging, biking, or skating, Mission Bay’s stunning views will not disappoint. Bring your own gear or rent equipment for a few hours. 3. This weekend, get off the sand and onto the water to explore the bay’s thousands of acres of waterways. 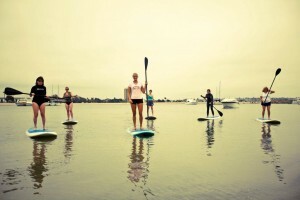 One of the most popular watersport activities in Mission Bay is SUP, or stand up paddleboard. Mission Bay’s flat waters make it the ideal spot to learn how to stand up paddle board. Rentals and lessons available at OEX Mission Bay. 4. Take in the bay from another vantage point: from the deck of the Bahia Belle. 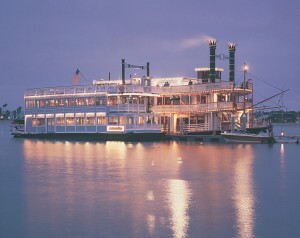 The Bahia Belle— a “Turn of the Century” Mississippi-style sternwheeler – offers Friday and Saturday evening cruises in April and May. Cruises depart from the Catamaran Resort Hotel & Spa dock. Non-hotel guests may purchase tickets for $10.00 for adults and $3.00 for children 12 years old and under. 5. The Wells Fargo Outrigger Challenge & Luau returns to Crown Point Shores this Saturday, April 30th for the tenth consecutive year. Teams of all skill-levels will compete in equipment provided by the Hanohano Outrigger Canoe Club. After the race, participants will be treated to the tastes and sounds of the Hawaiian Islands. Have you entered the Mission Bay Getaway sweepstakes yet? Enter now for your chance to win a 3-night stay in Mission Bay. The sweepstakes ends on April 30th. This entry was posted in Family Vacations, Insider Tips, Outdoor Adventures and tagged 5 to try, bay, beach, dining, mission, sweepstakes, things to do, what to do by Courtney. Bookmark the permalink. Congratulations to Traci Smith! You are the winner of the Mission Bay Getaway sweepstakes. I already have my heart set on Kono’s for my Saturday morning breakfast. I am in for breakfast this sunday !